Do you find yourself going over and over the same thoughts, getting stuck in a worry cycle that's hard to shift out of? Do you think that if you just keep working away at a problem in your head a solution will eventually appear? Do you catch yourself replaying a conversation or analysing the way someone looked at you, trying to work out what they were really meaning or thinking underneath their words or look? Do you find that getting stuck thinking about the same thing over and over makes you feel stressed, worried and you lose track of what's going on around you? Do you get frustrated with yourself that you can't just snap out of it, stop thinking so much and be calm like everyone else seems to be? Welcome, my overthinking friend, pull up a chair and make a cuppa, you're in the right place. Having the same thoughts going round and round your head, feeling stuck in that cycle, is no fun and feels hard to break out of. I know, I've been there, a lot. I've spent waaaaay too much of my life being stuck in my head reliving past events, imagining a bajillion possible scenarios in the future (too often of the catastrophic kind), rehashing past conversations, planning future exchanges (what I'll say then what she'll say then what I'll say…), wondering what if, what if, what if… And all the while the world carries on around me, without me fully participating within my own life. Ugh, it's exhausting and stressful and, frankly, tedious. You don't want to feel like this, you don't want to get stuck in your head thinking a million thoughts, you want to be properly living your life, enjoying it as everyone else seems to be doing. But it feels so hard to break that cycle. And yet, my lovely, overthinking friend, I'm here to tell you that it is, in fact, possible to break that cycle, to soothe those stresses and worries, to free yourself from getting stuck in your head, and by doing so to enjoy the calmer, more content, lighter life that you want. I say this because everything I described above – the overthinking and the overworrying – I've been there, got the t-shirt, keyring and car sticker to prove it. I'm not about to tell you that my life is now a perfect, Disney-esque dream, that would be absurd, no-one's life is (whatever you see on social media). What I will tell you is that I spend a great deal less time lost in my head, going over thoughts and getting bogged down with everyday worries than I used to. I've studied mindfulness, brain health and coaching, read many, many positive psychology books, and experimented everything I've researched on myself, and by doing so I worry and overthink less and enjoy my life more. My life isn't a breeze, difficulties crop up for everyone, no-one is immune to life's challenges. But I'm better able to cope with the curveballs, and to really enjoy life when things are going well rather than missing out on the good stuff because I'm too busy thinking about all the what ifs. I have regular practices I follow to keep my overthinking in check and techniques I use when my spiralling mind goes into hyperdrive. And it's because I've done (and doing) the research, the training and the testing on myself and found what really works and helps the overthinking and overworrying mind, that I share it with you here. So that you can make use of all the ideas, actions, tools and techniques to get unstuck from your whirling, circular thoughts and worries, and get on with what you really want to do – enjoy your life just as it is right now, with all its ups and downs and curveballs. 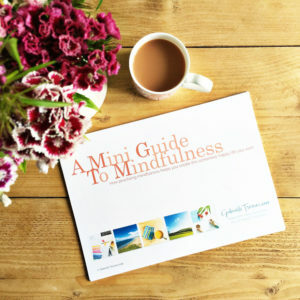 :: My free resource inspiration library – the Nook of Inspiration – is packed with tonnes of great stuff including a mindfulness guide, recommended podcasts, TED talks, book and apps, playlists, downloadable printables, digital wallpapers and guided meditations. When you access the Nook (you can sign up at the bottom of this page) you'll also receive weekly emails from me (which you can unsubscribe from any time) where I share more of my experiences, news and offers. :: Work with me one-to-one – Where we go in-depth and really get to the heart of how you can free yourself from overthinking and live the life you deserve and dream of is when we work one-to-one. 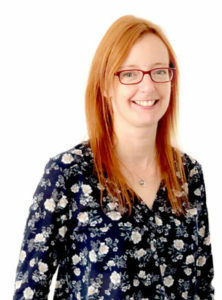 Take a look at how coaching with me can empower you to move towards the life you've always wanted, unchained by a whirring mind, and read what previous clients share about their experiences, on this page. :: Pressing Pause podcast for overthinkers – this is where I pop into your week for about ten minutes and share words of inspiration and support. Take a look here for episodes and where to listen. I've also been fortunate enough to have been invited onto several podcasts where I've had fascinating conversations, you can listen to them here. :: Take an online course from the comfort of your sofa – I share the positive psychology-researched tools, strategies and actions, and how you can realistically and practically apply them to your everyday life, in my range of online courses. More than 1,500 people have already benefited from taking one or more of my courses. You can find out all about the courses here. :: Join the private Facebook group – it's a safe place for people who overthink to gather and know you're not alone, you're welcome to join here. :: Read the blog – there's a wealth of blog posts available to you to read here. Most of all what I want you to know is that you're not alone. Yes, you can get lost in overthinking and worry more than you want to but you're not the only one who does it. There's nothing wrong with you, it doesn't make you weak or silly and, even if this is how it's always felt for you, this is not how it always needs to be. You have the ability, the strength and the power within you to break the cycle of thoughts in your head, to throw off the pressing weight of thinking a million things a minute, to free yourself from that trapped feeling of being chained to your thoughts and worries and busy mind. You're in the right place, I'm here with you. And I want to hear from you. You can message me directly at gabrielle@gabrielletreanor.com and find me most often on Instagram where I'm @gabrielletreanor. I'm here, you're not alone. 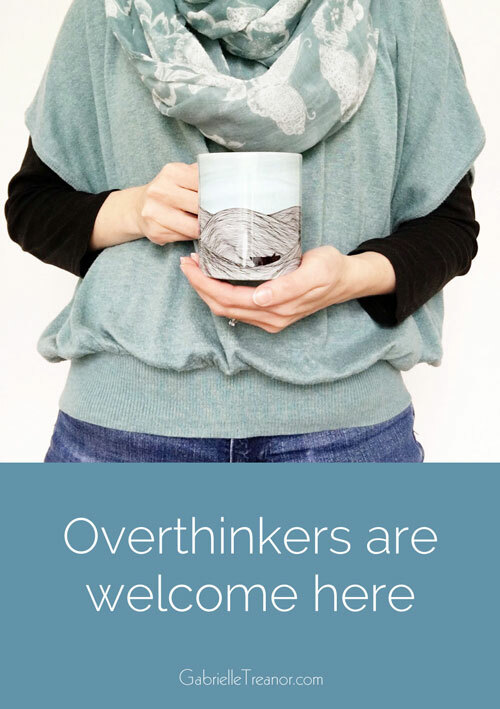 PS Overthinking isn't the same as experiencing high anxiety or dealing with a phobia. If your worries or fears are interfering with you functioning in daily life it may be time to seek medical assistance starting with a visit to your GP.